We’re all about helping our customers connect faster, better and smarter. And that’s where you come in, to help us realise our vision to create a brilliantly connected future for everyone. 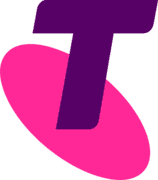 Working as part of our Southland store team, you will be the face and voice of Telstra! Talking to our new and existing customers, you will deliver personalised service and advice to uncover their individual needs and match them with great solutions. On any given day, you could be sharing your knowledge about our services and the latest gadgets we have on offer, or chatting to a customer about international roaming offers to best suit their travel needs. You could even be kitting up a customer with wireless devices to keep them connected on the go – it’s a job with plenty of challenge and variety to keep things interesting. To do well in joining our retail team, you will be confident, knowledgeable and resilient. You'll also show us your natural enthusiasm for working with people. You'll be receptive to different personalities, and use varied approaches in your interactions with people. Success for us is all about happy customers, and that means going above and beyond to meet their needs! No previous technical knowledge is required, just your passion for people and learning, as we’ll provide all the training you’ll need. And, with the scale of our Telstra business, you'll find plenty of opportunities to develop and grow your career with us. To do well in joining our retail team, you will be confident, knowledgeable and resilient. You&#39;ll also show us your natural enthusiasm for working with people. You&#39;ll be receptive to different personalities, and use varied approaches in your interactions with people. Success for us is all about happy customers, and that means going above and beyond to meet their needs! No previous technical knowledge is required, just your passion for people and learning, as we’ll provide all the training you’ll need. And, with the scale of our Telstra business, you&#39;ll find plenty of opportunities to develop and grow your career with us.